I was so excited when I pulled up to The Lodge at Country Inn Cottages. Picture hay bales and open fields surrounding a beautiful stone and wood lodge set near a hillside. The cottages up the hill are where Nelson and his groomsmen were getting ready, while the Rachel and her bridesmaids were in the Bridal Suite at the Lodge. The sky was the brightest of blues, with a few perfectly shaped white clouds, and the wind did a great job of overcoming the heat of an outdoor summer wedding in Texas. The ceremony was short, sweet, and beautiful. There were a few tears, a few laughs, and Rachel and Nelson couldn't stop smiling at each other. 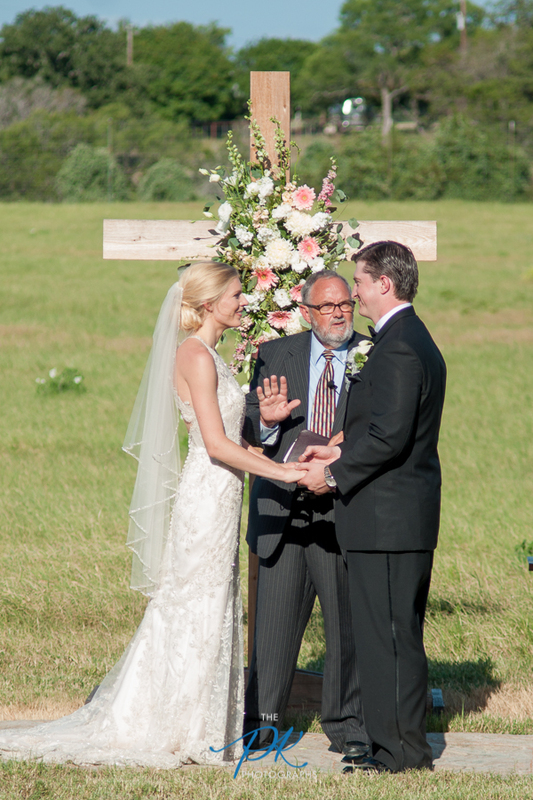 A few cows even wandered into the field beside their ceremony to watch this beautiful couple tie the knot! 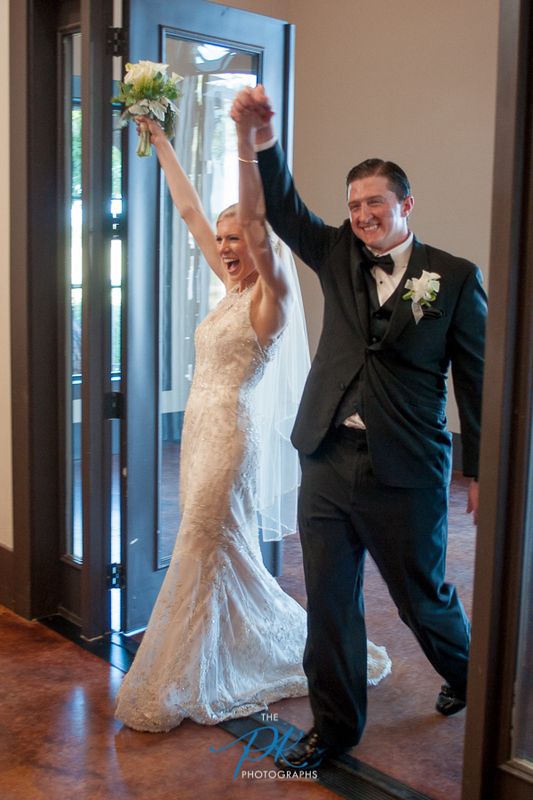 After their ceremony, was a reception with heart-warming toasts and beautiful dances. Such a beautiful event with beautiful, kind families and friends of this beautiful bride and groom! This wedding was a bit of a drive out of San Antonio, but I can't wait until my next wedding here! This venue was truly a wedding photographer's dream. From variety of locations to shoot in the immediate area, to the way the reception hall was set up, I was in venue-heaven! 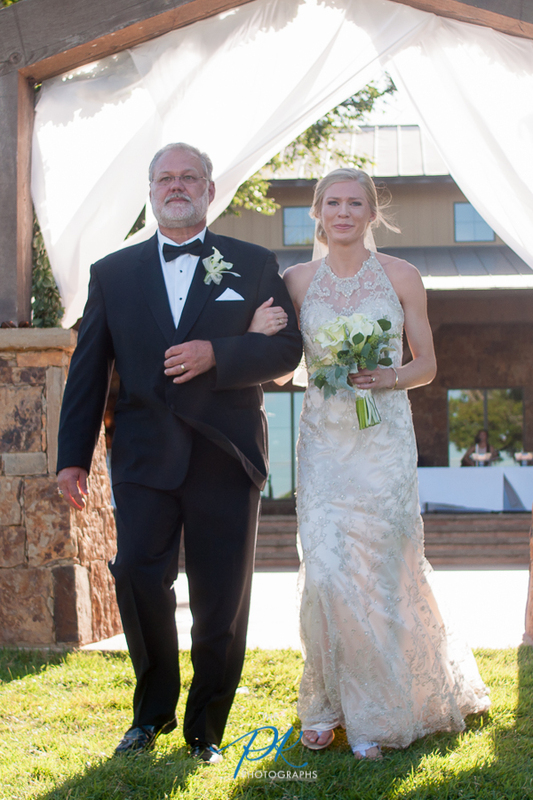 Rachel fought back the tears as she walked up the wedding aisle on her father's arm. 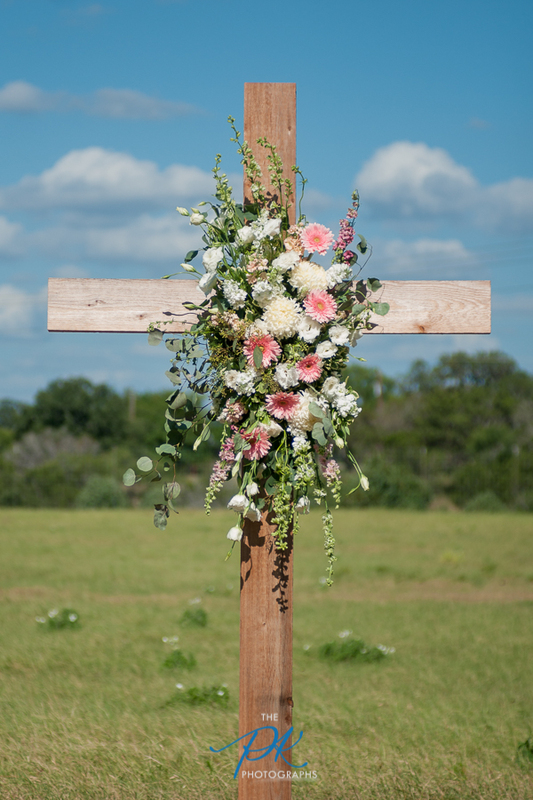 A cross with flowers was set up right behind Rachel and Nelson during their wedding ceremony. Rachel walking up the aisle to get married! Rachel rested her head on her father's shoulder right before he gave her away to Nelson. 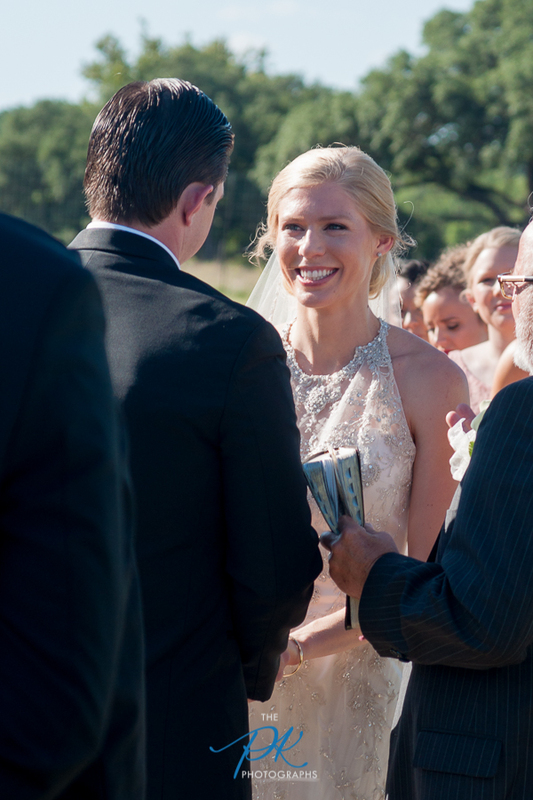 Rachel was all smiles during their wedding ceremony, and she couldn't keep her eyes off of Nelson. Rachel and Nelson at the alter, exchanging wedding bands. Rachel and Nelson's first kiss as husband and wife! The whole bridal party gathered around to celebrate the newly weds with champagne. We headed off to take portraits of Rachel and Nelson as the sun was setting. Rachel couldn't keep from laughing and having fun the entire day! Still, we managed to catch some more serious moments on her wedding day. 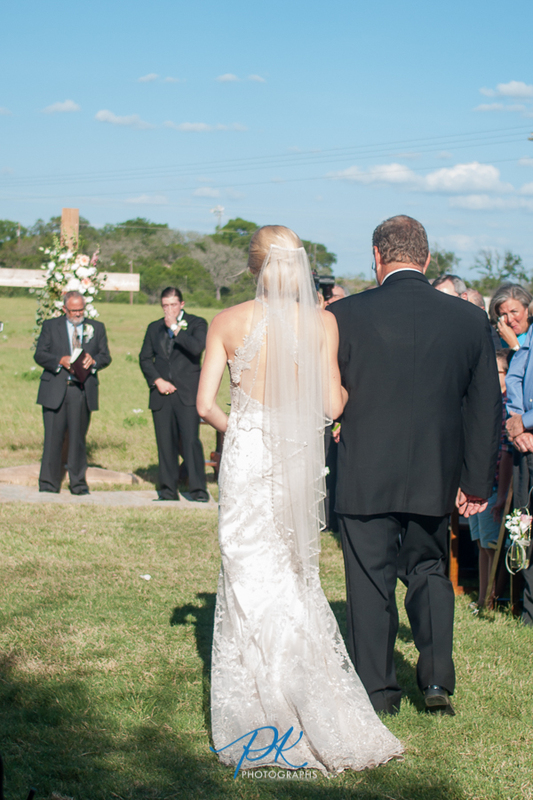 A private moment between Rachel and Nelson at their San Antonio wedding. The front of Rachel and Nelson's wedding program. Rachel and Nelson entering their wedding reception. 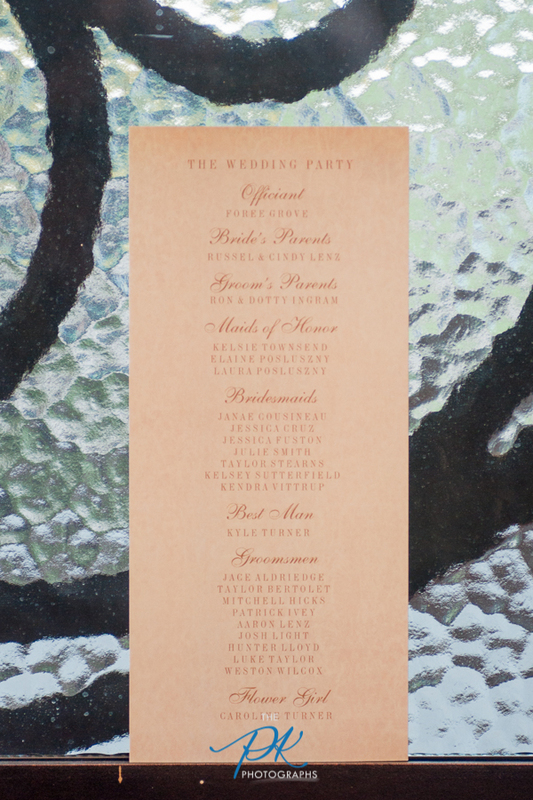 The back of Rachel and Nelson's wedding program. 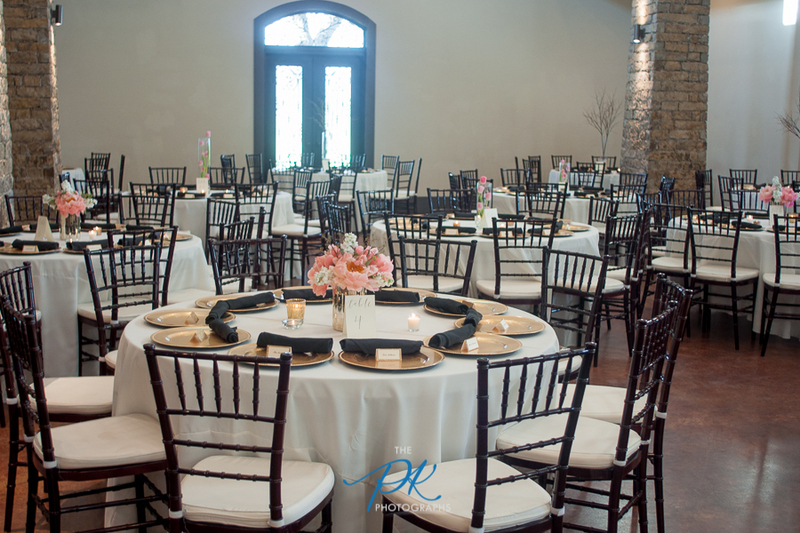 Black, gold, and pink were combined perfectly in the reception hall! One of the centerpieces at Rachel and Nelson's wedding ceremony. Gold name tag in the reception hall. 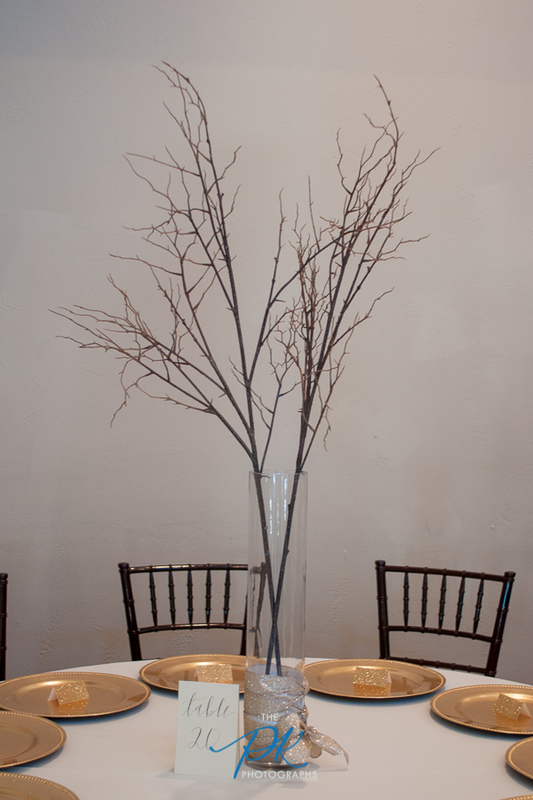 A tall centerpiece for a corner table at Rachel and Nelson's wedding. 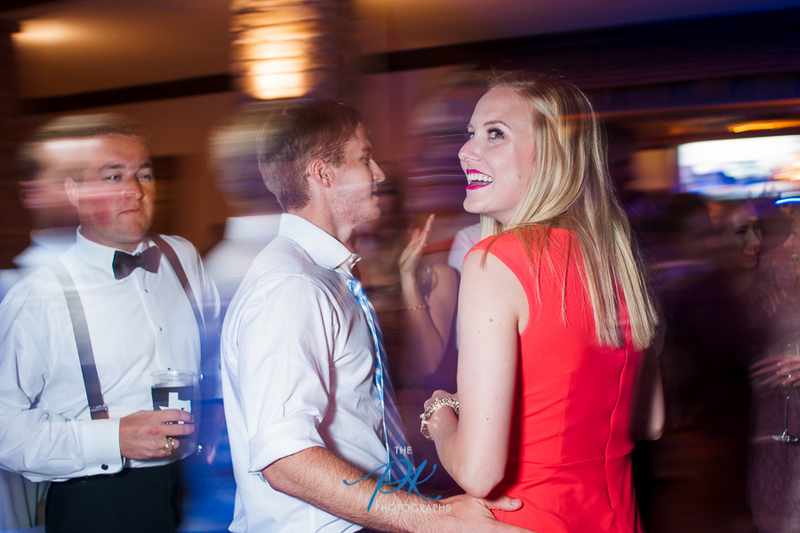 Rachel and Nelson's first dance as husband and wife! Part of the cake table at Rachel and Nelson's wedding reception. Gold .... on dessert! 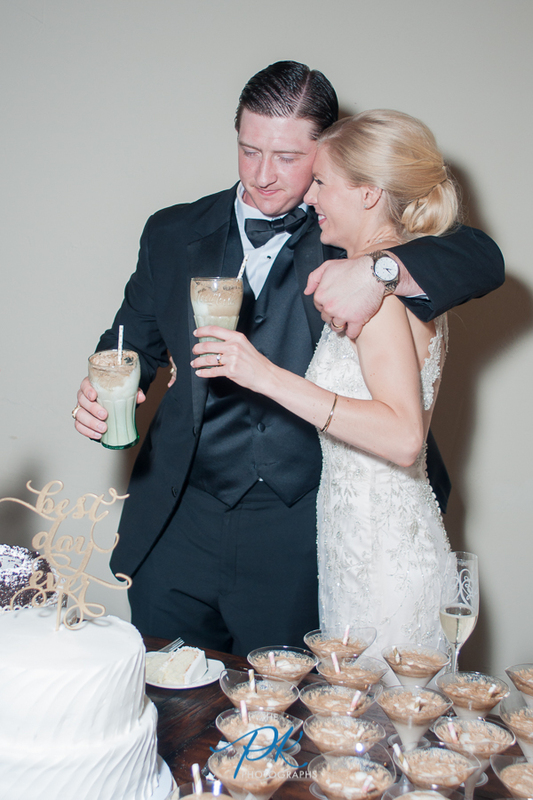 Rachel and Nelson had a huge variety of dessert options at their wedding, including apple pie and root beer floats! Their initials were monogrammed on napkins at the dessert table. Apple pie served at the dessert table during their wedding reception. 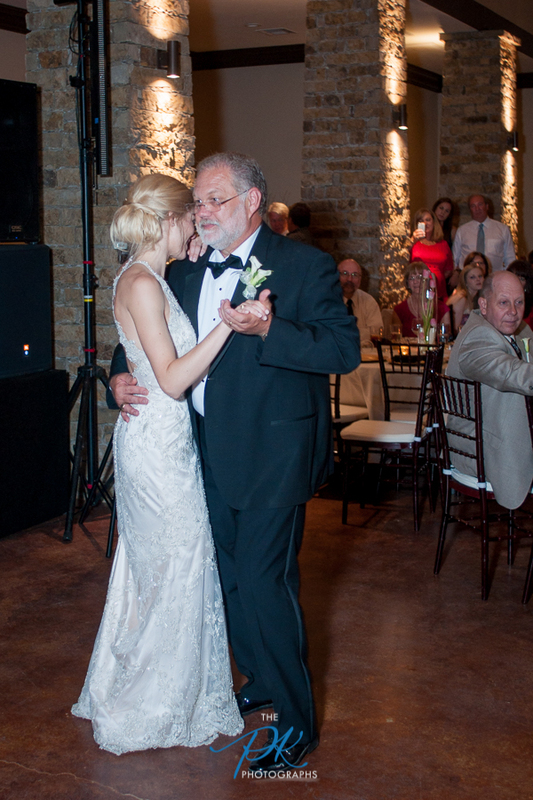 Rachel's dance with her father at her wedding reception. 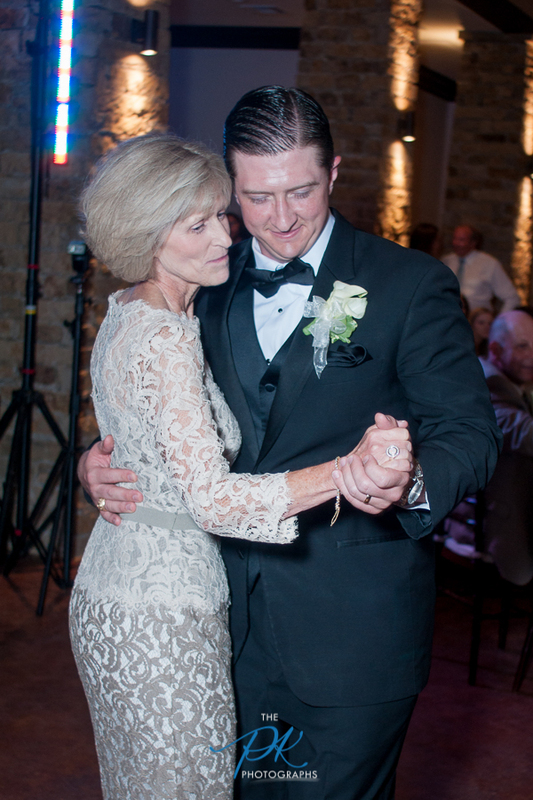 Nelson's dance with his mother at his wedding reception. Rachel and Nelson were nice and didn't smash cake in each other's face. 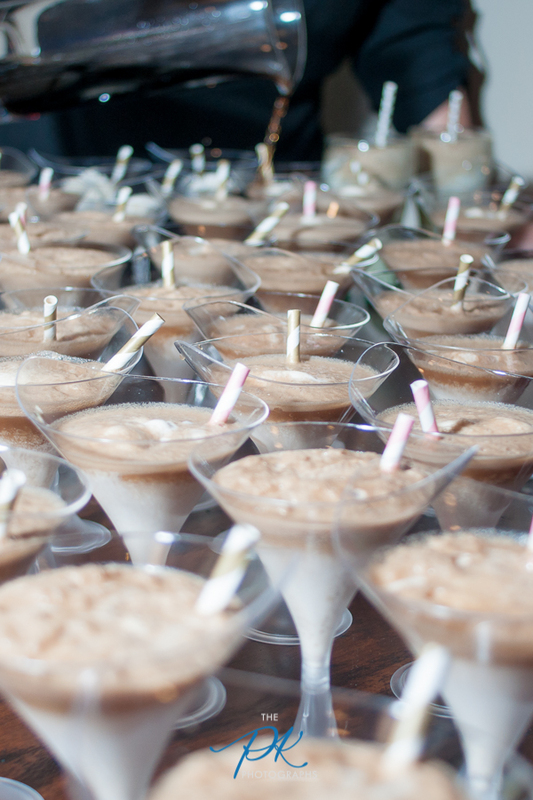 Root beer, rather Coke, floats were a fun dessert for a summer wedding! 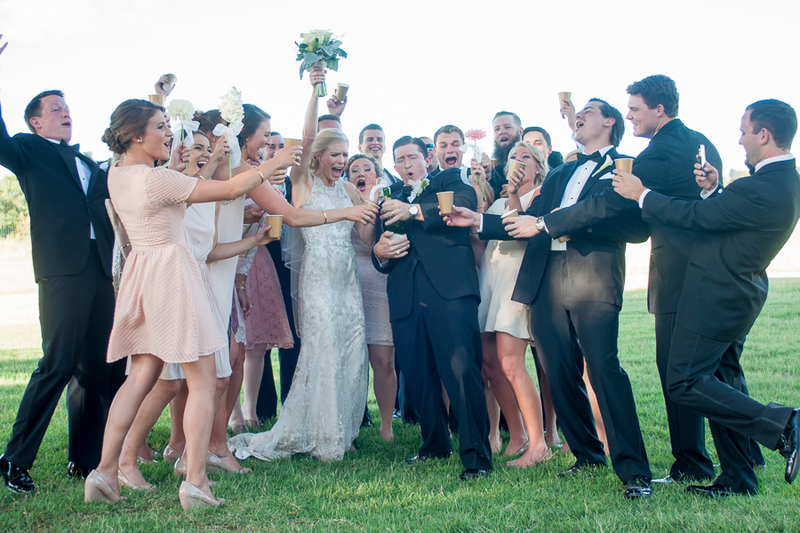 Rachel and Nelson enjoying their Coke floats at their wedding. 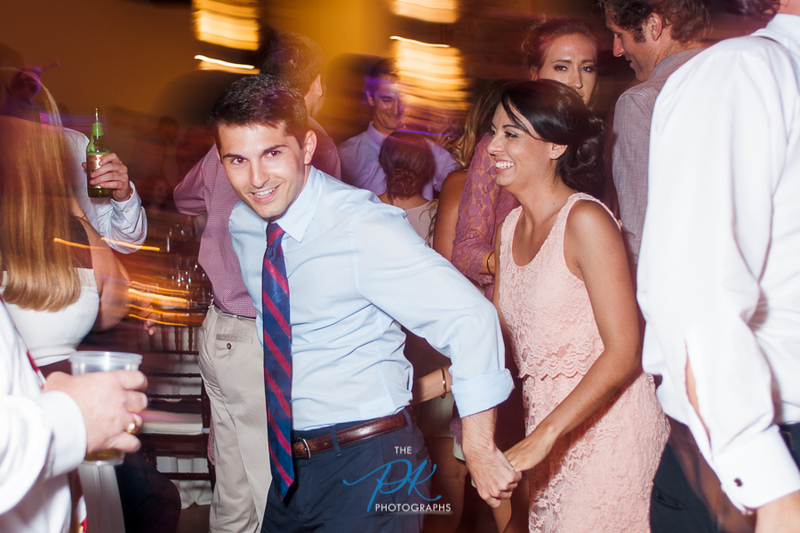 Their friends and family danced the night away! 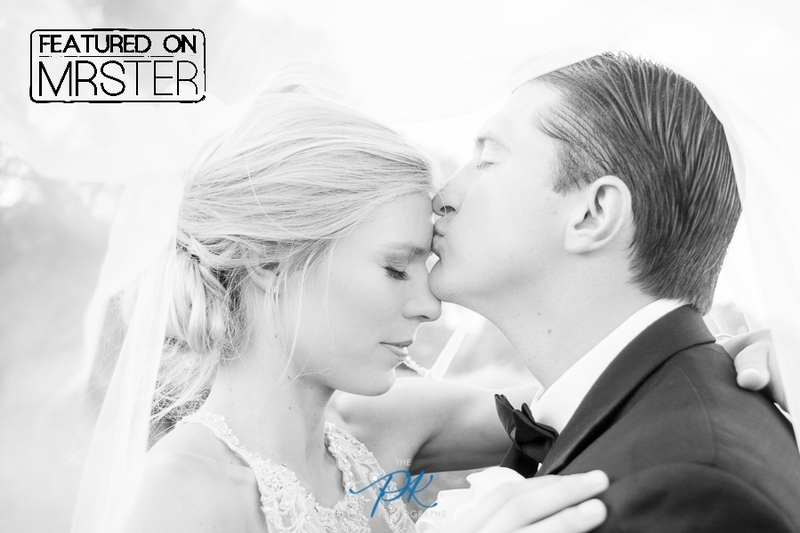 Pssst, this wedding was featured on MRSter's blog. 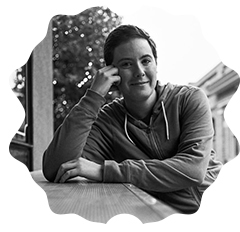 They're the Modern Union Experts that feature straight and LGBT weddings, and have great posts on wedding planning!